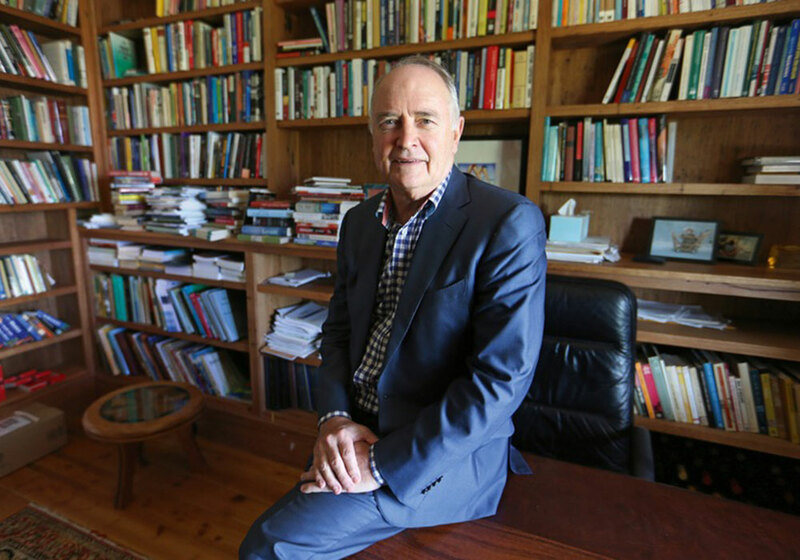 Ahead of speaking at a Public Lecture on the Finkel review and presenting at the Economic and Social Outlook Conference in July, Professor Garnaut explains in this interview why his main passion remains academia, and how his life's work continues to link to Asian economic development. Congratulations on being awarded the highest honour in the 2017 Queen’s Birthday honours list – a Companion of the Order of Australia… How does it feel to get that recognition for your work? Thank you! It’s nice to have the recognition, especially for the last part of my career - working on climate and energy - because that’s been heavy going from time to time - and a lot of other people have shared that with me. For all of us involved in that work, it’s nice to have that wider recognition for what has at times been a difficult and lonely road. It’s now nearly 10 years since you provided your initial Garnaut Climate Change Review to the Australian Government, how has that road been since then? It was 10 years in April  from the time I was appointed initially with all of the state and territory ministers and the Commonwealth Government later, that set me on a course which absorbed the majority of my professional life from then on. I’ve certainly worked on issues in the past which were complicated and also had to face opposition, but this issue is the most difficult bit of public policy I’ve worked on. Initially the Climate Change Review had the support of all state governments, all territory governments, the Commonwealth and the federal parliamentary opposition. That broad support proceeded right through that review, which was submitted to the Prime Minister and State Premiers in September 2008. But the path of turning those recommendations into policy was enormously complicated by the political eruption within the opposition. The eruption against action on climate change took what otherwise would have been a denial at the margins into the centre of political life. It legitimised anti-scientific views, and that hugely disrupted the national conversation over the next few years. When the Federal Parliament and Government asked me to provide an update to my review in 2010 – that work the second time round was controversial, even though it followed many of the same processes and ideas as the first one. Although there has been confusion in the public policy discussion, the requirements for action on climate change and for a big energy transition in Australia have been clear for those who think about it. So it hasn’t been hard to stay on that road. I regret that in the end, the Australian community – present and future – will pay a price for the disruption of the national policy conversation. You have had an incredibly diverse career, across universities, business, government and other Australian and international institutions… Looking back on the 45 years since you completed your PhD, what have been the main challenges and highlights? I’ve done many things in many places but the consistent theme has been seeking to understand economic development in Asia. So the highlight in a way is gradually getting to understand that better. Everything I’ve done has contributed to that. Amongst the particular things, the work on my PhD [at the Australian National University in 1972, titled: Australian Trade with Southeast Asia: A Study of Resistances to Bilateral Trade Flows], when I was getting to know the rhythms of society and development in South East Asia was formative, and led to a lot of other things later on. My time in Papua New Guinea working as Deputy to Finance Secretary Mekere Morauta [within the Papua New Guinea Ministry of Finance, 1975-1976] on setting-up the framework for economic policy in Papua New Guinea, I thought at the time was the most important thing I would ever do, and maybe it was. Establishing an independent currency, new taxation system, Papua New Guinea’s relationship to international development agencies, and a budget framework that could provide economic stability in a country with lots of tendencies to instability – that was a great experience. What we put in place provided a stable framework probably until the end of the 1980s in Papua New Guinea. Between then and my involvement with the Hawke Government I became deeply versed in the Asian international economics story and in Australia’s relations with Asia. That’s when I started writing about Australia’s relations with Asia – and that provided the foundation of what I took into Bob Hawke’s offices. With Hawke we were able to put in place a number of the changes in policy that my previous decade of work on the Australian economy had suggested were necessary - getting rid of most Australian protection, floating the currency, removing exchange controls, and establishing a framework for much closer and more productive relations with the rapidly growing Asian economies were highlights at that time. That was continued in a particular direction as Ambassador to China. My time in China was especially stimulating because of where China was at the time, with its leaders thinking about reform, and wanting to discuss the sorts of things I was in a position to contribute to. Some of the things I did led directly to very positive results, universally acclaimed. In retrospect that is said about the opening up of the Australian economy - but at the time not everyone thought it was a great idea, so it was controversial at the time. Naturally in a lifetime’s work in public policy there are disappointments. The fact that the very good framework of policy that was legislated in 2012 after my second climate change review - the fact that was pulled apart was a disappointment, and a pity. Australia is having to deal with some quite large problems because of that. I would describe these last 50 years as not containing highlights, but as having had hardly a dull moment. You are speaking at the 2017 Social and Economic Outlook Conference on President Trump and Asia, and what that means for trade. How do you see Trump’s presidency as impacting on Asia? I see it as being very unfortunate. I was in Indonesia recently for an international relations conference, which had leading figures from a lot of Asian countries. I met Indonesian political and intellectual leaders on foreign policy. They regretted the change in tone and quality of US leadership, with the Trump presidency. The United States is no longer seen as the same reliable participant in the open international economy. The US was a more uncertain player in world strategic affairs. A lot has been made, quite rightly, of [German] Chancellor Angela Merkel’s statement after the NATO conference [in Brussels] and the G7 meeting [in Italy] - that Europe now would have to work things out for itself. Well you had that same feeling in Southeast Asia. Of course, the Trump presidency has been welcomed by China because it gives China an opportunity to accelerate its path into a larger leadership role in Asian and global international economic, and strategic affairs. But I think we would be better off if we’d had continuity in American policy and a more consistent American engagement with the international economy and policy. You’re clearly someone with a multitude of commitments… What do you do to relax and unwind? When we lived in Canberra we had a farm not so far from Canberra, and the finest pure relaxation was to spend a day dawn ‘til dark in the sheep yards. Today, in Melbourne it’s a great pleasure to spend time with grandchildren. Growing up in Perth I absorbed the culture of Australian football, so in winter football and in summer, cricket, absorb probably an excessive amount of my attention. And I read veraciously - mostly in history. I don’t think you understand economics at all unless you understand its historical context. I suppose reading history is the recreation that takes most of my time. The 2017 Economic and Social Outlook Conference is being held in Melbourne on 20 and 21 July. Professor Garnaut's public lecture: Does Finkel Solve the Trilemma will be held on Monday 3 July. Professor Garnaut has been with the University of Melbourne since 2009, and has been Professorial Research Fellow in Economics with the Faculty of Business and Economics since 2014.